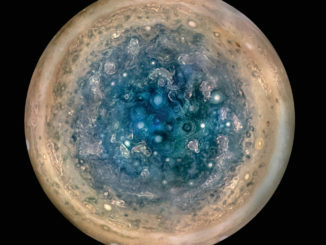 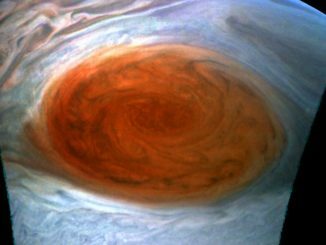 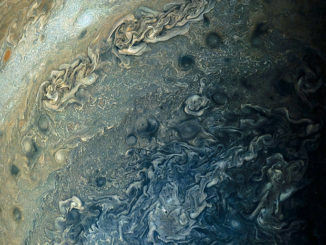 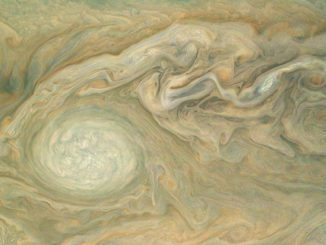 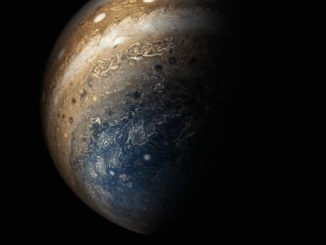 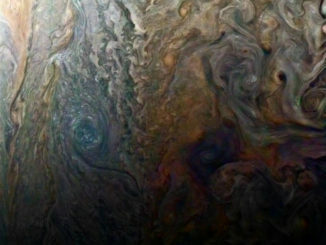 NASA’s Juno spacecraft, making its first scientific run over Jupiter’s poles Aug. 27, captured remarkable images of Jupiter’s atmosphere, showing that the equatorial bands and zones familiar to even amateur astronomers completely disappear at high latitudes. 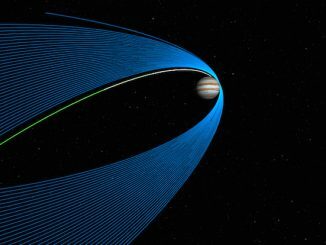 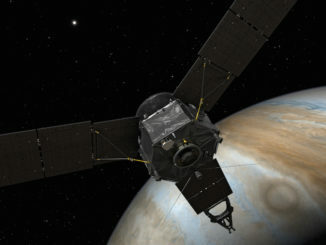 NASA’s Juno spacecraft fine-tuned its orbit around Jupiter this week, helping steer the spinning space probe on a course to dip beneath the giant planet’s radiation belts in late August for the first time with all its science instruments activated. 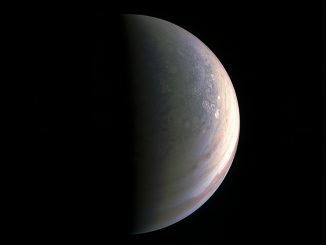 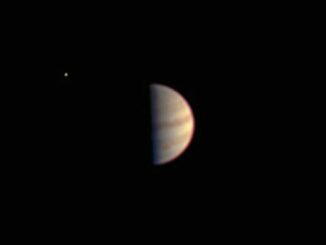 Juno’s visible camera had a bird’s-eye view of Jupiter’s four largest moons over the last few weeks, recording the satellites in their orbital ballet around the giant planet as the spacecraft approached from above Jupiter’s north pole.